You might wonder if it is worth it to spend the extra money on organic food, beauty products and cleaning products. Whether you are buying food, beauty or cleaning products, reading ingredient labels is essential. Knowing the specific ingredients in the food you are eating, in the beauty product you are applying to your body, and in the products you use to clean your house with is a good practice. When buying online, take the time to read the ingredient list. Ignorance never helped anyone! Unfortunately, most people do not buy non-toxic organic food, body and cleaning products simply because the price point is too high. One strategy to bring down the cost per unit is to buy at wholesale prices. Follow this link to find 22k+ non-toxic organic products at wholesale prices. Chose the healthy foods you are sure to eat. Purchase goods you know you will use. You defeat the point if you buy in bulk and never use it! It also ensures that you will decrease the packaging of the smaller portions you buy. Shopping online takes time and energy. Sometimes it is fun to search for your next favorite organic product. Often times, it is a distraction. You don’t want to be looking for the next best product when you already have favorites. Save time by keeping a list of brands you love and keep reusing them. 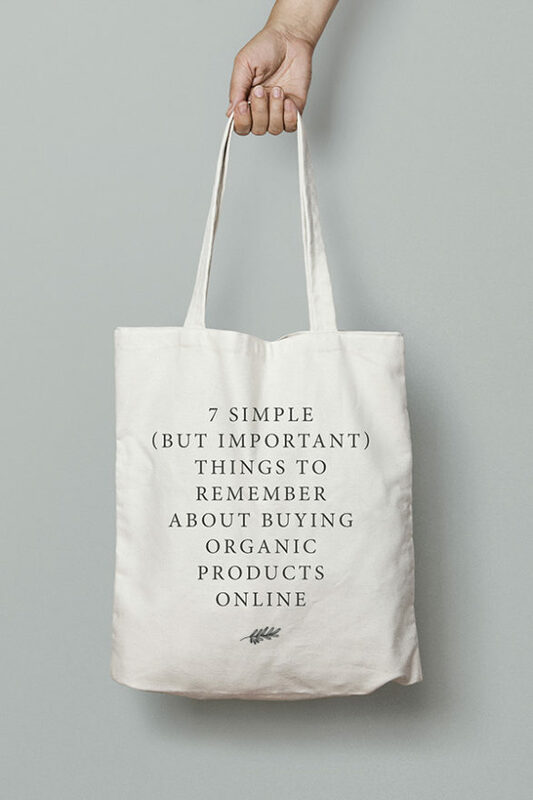 Talk to friends and family about eco-friendly brands they love. Remember, the idea is not to waste your precious time searching for new products. There are so many products available that it can be hard to make good buying choices. Whether you are looking for organic food, beauty or cleaning products, it helps to get recommendations from people and sources you trust. Learn about 7 of the most hydrating organic teas for your health here. When I shop online for organic food, body products and cleaning supplies via Amazon or Live Green (a new online organic wholesale market) I support the planting of trees in Senegal, Cameroon, Kenya, Tanzania, and Uganda. Follow this link to find out how I plant trees every time you shop on Amazon. As more and more of us shop online, more packages are shipped nationally and internationally. Many call this the Amazon effect with the advent of free shipping in the early 2000s. Regardless of whether shipping seems “free” in the moment, all this shipping takes its toll on the environment. For this reason, choose to group your items into as few shipments as possible. Your turn: What is a healthy practice you follow when shopping online?